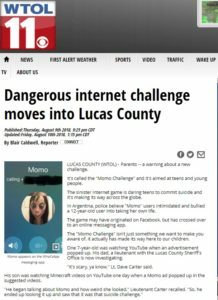 Over the past couple of weeks there has been increasing coverage in the media concerning a potential new “suicide game” on the Internet: MOMO. As with most viral threats online, there are a lot of things being reported, including MOMO popping up in YouTube videos and even in the MINECRAFT Game. Momo is even being compared to 2017’s BLUE WHALE Suicide Game. 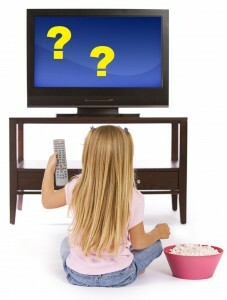 So, let’s look at MOMO and see what Parents Need To Know in order to protect their children! It began on Facebook with a “challenge” or “dare” to contact a certain “user” on the WHATSAPP social media network. WHATSAPP is #1 with kids/teens. The individual behind MOMO is attempting to establish a mind-control relationship with the target. When children/youth contact MOMO via WHATSAPP they are sent scary/horrifying images/videos, and are then given tasks. The target may be instructed to harm themselves or someone else. The goal is to “meet” MOMO. If they do not do the tasks, or attempt to sever the relationship, they are sent terrifying and intimidating texts, calls, and/or videos. As of this writing (17 AUG 2018) MOMO’s WHATSAPP phone numbers have been traced to accounts in Japan, Columbia, and Mexico, all of which are reported to be inactive. One death in Argentina is being linked to the game, but the investigation continues (FOXNEWS ). 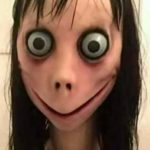 There are some who doubt that MOMO is real, saying it is just an over-hyped or hysterical reaction on the Internet. So, is MOMO something parents should be concerned about? YES! Is MOMO something parents should be panicked about? NO! 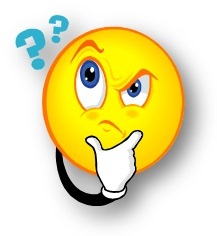 It is early in the phenomenon and we don’t have a definitive answer to the question: “Is it a real thing?” If it is, then the problems are obvious. But, even if it isn’t “real” there are those who will help perpetuate the story through posts and other activities. These activities may include trolling via social media posts and other apps. They bring MOMO into the child’s world. Natural curiosity can then lead children to investigate this “scary-cool” thing and topics associated with it, such as suicide or other types of self-harm.. They provide a platform for copycat or imitative behavior, including the exploitation of both the MOMO concept and WHATSAPP to bully or control others. Children are NOT adults (I know, that’s a “DUH” for many folks, but unfortunately not all)! As parents we wonder WHY they can’t think right and discern danger or the consequences of their actions. Well, the fact of the matter is, it’s because they are still developing and the part of the brain that controls “executive decision-making” won’t finish developing until they are in their mid-to-late 20s. (This explains a lot of college behaviors, no?) This region of the brain, which scientists and doctors call the prefrontal cortex, controls decision-making, planning, and personality expression. In addition to those, it moderates social behavior and the desire to belong. This part of the brain typically doesn’t finish developing until 21 (females) or 25 (males), with some research extending both of those maturity dates all the way up to 30. This is further complicated by the fact that adults and teens think with different parts of the brain. Adults use the rational part of the brain (prefrontal cortex) while teens use the emotional centers of the brain when acting and deciding. LINK. Once involved in online relationships such as MOMO or the BLUE WHALE Game the child’s inability to rationally assess what is going on enables the “game master” to assume control over the player. This control is solidified over time, leading to the ability to direct the victim to perform more and more dangerous acts. This is also at work in cyber-bullying. They may encourage/trigger an already-depressed child to harm or kill themselves. They may foster cyber-bullying through children engaging in copycat behavior. These alone are reason enough for parents to be concerned…but not panicked. And if these “games” are confirmed as real (there are online articles that support both answers) then the danger is obvious. There are a number of things parents (and grandparents, even) can do to keep children safer from inappropriate or harmful online influences. They are not necessarily easy, but they beat seeing your kids terrified, injured, or worse! GIVE KIDS AGE APPROPRIATE TECHNOLOGY: You may not like hearing this, but there is NO REASON for a child to have a smart phone prior to the 7th Grade. NONE! Children will survive if they only have a flip phone. They also don’t need a cell-equipped tablet. 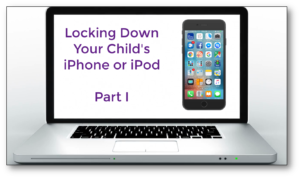 CONTROL THE TECH THEY HAVE: Parents must have the login credentials and unlock codes for all of the devices and accounts that a child may have, regardless of if they are used on a smart phone, computer, or game system. In addition, portable devices should be recharged nightly in a central location (kitchen, etc. ), ensuring children aren’t staying up at night using them as well as providing the parents with access to check the devices. – Children in the 7th through 10 Grades should only use iPhones due to the superior security and BUILT-IN parental controls (which are getting better with the upcoming iOS 12 operating system)! You might want to watch my two-part video on locking down iPhones. – The home network must be filtered. I recommend using OPENDNS or employ a Netgear Nighthawk or Orbi Router that integrates CIRCLE WITH DISNEY. .
– Control what apps are installed on their devices. See my videos for locking down iPhones and Androids. Children up to 11th grade do NOT need WHATSAPP, and no child under 18 needs TUMBLR. MAINTAIN CONTROL: Regularly check the children’s devices. When you do, change YOUR codes for the restrictions you have set. Do the same for all of your filtering set ups, including PIN #s for services like NETFLIX and ROKU. TALK TO YOUR KIDS: Talk to your children about online dangers, including MOMO or BLUE WHALE-type “games”. It’s hard for them to understand how they can be at risk….safely in their own home. So, you might want to use a metaphor. Help them understand that talking to or obeying “just anybody” online is no different from stopping strangers in the Mall or the park and telling them personal information or doing whatever the stranger said. Tell them to consider it ONLINE STRANGER DANGER, and only connect with friends they know in REAL LIFE first. And assure them that they can always come to you with a problem. Really? You trust them…without exception…without boundaries? 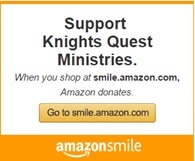 If you do, then please give them your debit cards and PIN. Then give them your car keys and let them go for a ride. Then put a TV in their room with ALL of the cable channels activated, including the Premium Channels and the adult pay-per-view channels (and don’t forget to give them the purchase approval pin, too). I’m sure they will only watch Disney and Cartoon Network! Giving them high tech without controls is giving them the World without boundaries, and giving the World your children without boundaries. Try to see these situations as opportunities to teach them that you will protect them until they can protect themselves, and that they will get more privileges and access as they get older and demonstrate maturity. It is definitely hard for them to grasp, so tell them it’s like driving a car. They shouldn’t drive when they are young. It isn’t safe. Instead, Mom and/or Dad control the car and the children ride in car seats for their protection. When they are older…and ready in terms of maturity…Mom and/or Dad WILL make sure that they learn how to drive and get a license. It’s the same with technology. When they are ready, and at the right age, they will get to use more advanced devices with fewer controls. MOMO, and any copycats that arise, are indeed something for parents to be concerned about. But, don’t panic. 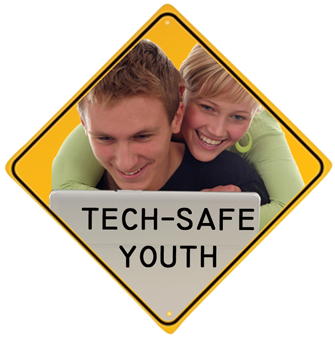 Instead, take the opportunity to bring your household up to proper TECH-SAFE standards, and talk with your children about online dangers. NOTE: Where did that grotesque image come from? It’s actually a picture of a part-bird/part-woman sculpture in a museum in Japan. When Children Play With (Electronic) Fire…. Child Grooming & Kidnapping: A Father’s True Story! 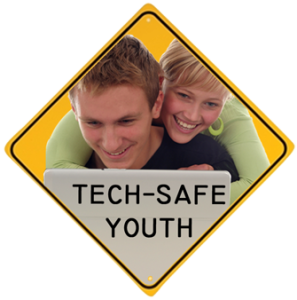 The TECH-SAFE YOUTH™ program is our program for youth! It merges Internet safety and sexual purity in a single presentation!